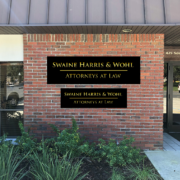 Swaine, Harris & Wohl, P.A. | News from Swaine, Harris & Wohl, P.A. News from Swaine, Harris & Wohl, P.A. You are here: Home / News from Swaine, Harris & Wohl, P.A. Mike Swaine was recently chosen for listing in Florida Trend Magazine’s Legal Elite for 2013. This marks the tenth consecutive year that Mike has been chosen by his colleagues for exemplifying the highest standard of excellence in the legal profession. Mike has also been included in the Legal Elite Hall of Fame for the fifth consecutive year. 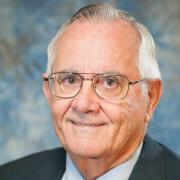 Mike was one of only 48 attorneys in the State of Florida to be inducted into the Legal Elite Hall of Fame in its inaugural year in 2009. Bob Swaine and T.J. Wohl received the coveted designation of a “Rising Star” for 2013 from Florida Super Lawyers, a publication recognizing excellence in the legal community. Their designation as a “Rising Star” is shared by only 2.5% of the Florida legal community. Bob has been designated a “Rising Star” since 2009 and T.J. has received this distinction since 2012.